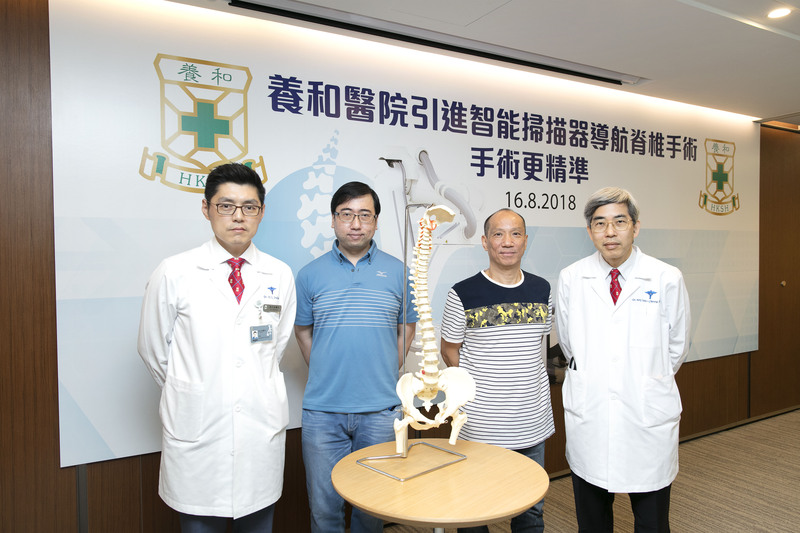 (24 August 2018, Hong Kong) Low back pain is common in Hong Kong and is a warning sign for degenerative disc disease which can lead to problems such as intervertebral disc displacement, degenerative spondylolisthesis and spinal stenosis. When the disease becomes serious, it may require surgical treatment. However, many patients would not go for surgery in view of the potential complications like nerve damage. 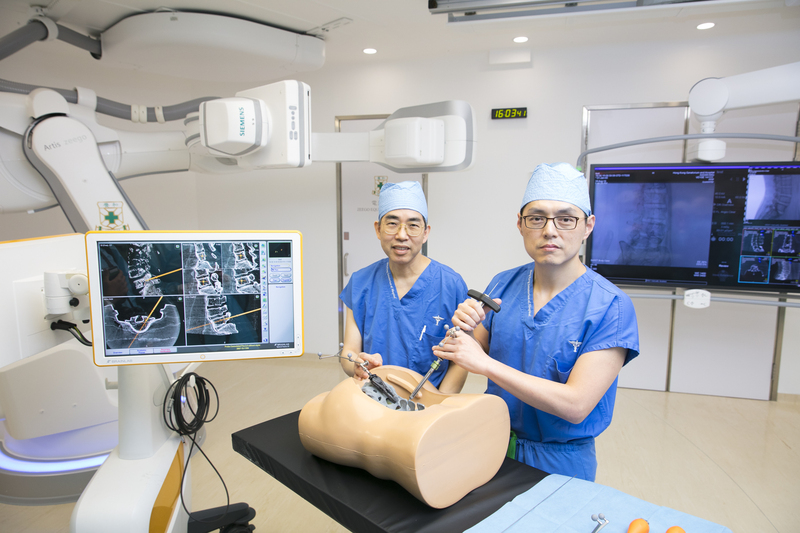 To address patients’ concerns, Hong Kong Sanatorium & Hospital (HKSH) has devoted resources to further enhance its minimally invasive spine surgery service with the introduction of a high-end intelligent robotic 3D X-ray navigation imaging system called Artis Q Zeego.